For nearly four years, I have seen the US mostly in snapshots. A week or two at most, a couple of times a year at most. During this time, I have seen a country in slow but heart-wrenching decline, a decline almost entirely of its own making. A lot of people are aware of this, and there is much wailing and gnashing of teeth online, but no action seems to be taken. Nobody, it seems, knows what to do to even begin to solve the problems. There are plenty of examples of wealthy but mismanaged countries around the world. Wealth and military power, as it turns out, aren’t enough. You need competent management too. In Africa, it’s easy to point to Zimbabwe and Nigeria as examples of mismanaging vast wealth, but Venezuela and Argentina provide excellent examples in our own hemisphere. Management of the US economy has become inept, with no adults in the room to make tough decisions. Someone recently asked me how to fix things. The first step, I am increasingly convinced, is breaking the two party system. This will force politics back to the center. This will also allow a credible third party (I prefer the name Independent Party, and a platform of NO platform except to support credible independent candidates with ballot access) to be used as political cover for making some adult decisions that are long overdue. The key is rebalancing. Actually, the United States remains a fantastically wealthy country; it is just horribly mismanaged and corrupt, but in unpredictable ways. We need to rebalance military spending towards investments in infrastructure and education, but we also need to have a predictable environment for doing business and we need to be selling things that people want to buy. China is plenty corrupt–I lived there for 3 years and experienced first-hand that the level of corruption is incredibly high. However, everyone running a business knows who they need to pay off and how much. The system works. In exchange for getting a free pass on corruption, the Chinese government provides a high level of education for its people, and excellent quality infrastructure. I think that nowhere else in the world will likely ever catch up to their manufacturing prowess again. Having become the world’s leading manufacturer, China is now interested in building additional pillars of their economy. None of this is a secret; the country has a published industrial policy. Actually, the future roadmap is increasingly clear to anyone who is paying attention (Washington DC is not, their collective and full attention is concentrated on a few lunatics in turbans camping in a Yemeni desert somewhere, along with spying on the American people). If you want to sell services (and our economy is largely a services economy) you first have to make it possible in the first place (by streamlining our ridiculous overreactive security measures since 9/11) and you have to have services that people want to buy (moldy airports and dilapidated seaports and slow railways and bridge-falling-down highways aren’t that). Now, what products and services do we sell, exactly, that aren’t either substandard, untrustworthy, or some combination of both? I see this as a pretty huge problem and I am not optimistic that it’s a problem that will be fixed before it’s no longer fixable. It did not take long for the Soviet Union to collapse, and I really don’t understand why American politicians think the US is is so “exceptional.” Exceptionalism is earned, and it’s time to get to work. Categories: Politics | Tags: | By: admin. Everywhere I go in Beijing, there are educational agencies, immigration agencies, and all manner of shady outfits advertising quick and easy access to the US. “Fastest American Visa Agent!” promises one. “All government documents, perfect quality, cannot distinguish from the real one!” promises another. Scam artists abound and they are expert at separating young, eager Chinese people from both their cash and their dreams, often blaming unnamed American government officials in the process. For so many who dream to reach the Gold Mountain, the closest they will come is helping a corrupt boss pay for gold to give his mistress. Living in China, I was often asked similar questions by my Chinese friends. The conversation usually ended up going something like “I would like to live and work in the USA. You’re an American guy, can you tell me how to do it?” Over time, I became familiar with a lot of nuances of US immigration law, because friends would automatically assume I was an expert in it. You know, sort of like they were all experts in Chinese immigration law. Oh wait… there isn’t any way to immigrate to China, because China already has enough people. But I digress. • I am from Seattle. The US is a very large country and my knowledge is most focused on the software industry, computer security industry, and Internet services industry (companies like Google and Amazon) in Seattle. Although I may be a useful source of general information about life in the US, I’m sorry but I don’t have any detailed or specific information about the chemical process engineering industry in Chicago. • My network of contacts is extensive… within my focus industries. I am a friendly guy but cold calling someone outside my industry on your behalf is likely to be more awkward than if you do it yourself, because I would have nothing job-related to talk about with that person. In the US, if you want to network with someone in your industry, just call. Personal introductions are always better but not essential like they are in China. • I have only worked for one international company, so I only have direct knowledge of how they handle hiring. • I have only ever worked in two countries, the US and China. And in China, my knowledge is most focused on the IT and online services industries in Beijing. So, although I can map really well between what opportunities look like in China versus the US, I don’t have detailed local knowledge of other markets. • I have a pretty good overall understanding of my industry (described above) and the kind of people in it who are likely international hires. If you aren’t from my industry please refer to the first bullet point above. Q: What is the easiest way to come to the US? A: Are you lucky in love? Really lucky? Then charm an American into falling in love with you and get married! However, even if you do this, you cannot go to the US or work immediately. Marriage is still impossible if you are gay, and this is not likely to change for a long time. It is also impossible if you are already married to someone else, because Americans are only allowed to marry one person. This is not an issue in China but in some cultures it can be. Q: Get married? To someone else?! Impossible! My girlfriend would kill me! And so would my parents! And American women are so…. CRAZY! Open! I could not accept that! A: Americans believe that immigration makes us a stronger country and we encourage the best and brightest people from all over the world to come to the US not only for a better life, but to make our country better as well. However, the US has a very high unemployment rate and many qualified Americans are eager to fill the jobs. Are your skills (including your English level) as good as theirs? What can you bring to the table that is special and makes you better qualified than an American who is easier and less expensive for a company to hire? Why would a company take all the risk to bring you to a country where you’ve never been before? They would spend so much money, what if you did a bad job once you arrive? Saving money isn’t a good reason to send you, because even though your pay may be slightly lower than American workers doing the same job, this generally reflects your lack of US experience. Companies are required to pay you comparably to a US employee and can be punished by the government if they do not. Q: I am a top graduate from Tsinghua University! I was #1 in my class in high school! I have Beijing hukou! A: All of these are things that are very special in China and essentially meaningless in the US. In the US, you will just be another laowai. Except we might call you “FOB” instead (means Fresh Off Boat). Don’t worry, we’re friendly to new neighbors and it’s all in good humor. Q: There is an agency company in Beijing that promises to get me into the US. I just need to pay them up front, and they will take care of all the details because they have some guanxi with the American embassy. They said not to ask too many questions, just leave the details to them. Should I pay? A: If you are so stupid that you believe this, then you should go onto Alipay site right now and send all your money to some bad Guangdong guy. I do not normally laugh at the misfortune of my friends, but who could be so stupid as to fall into this trap? There is no such thing as guanxi with the American government, except at levels so high you will never, ever, ever meet anyone with such relationships. Q: My uncle knows someone who has some relationships with the Customs, and anyway, there is a “special” way to go on a cargo ship to the US. Should I have a try? A: Maybe you should learn how to swim in the Hai River first before you play around in Tianjin port. I think you would sink and die because you have too many rocks in your head, and if you do, good! You will not cause the American police any trouble sending your body home! If you do not die in the ship on the way or fall into the sea and drown (many people do) you will be caught as soon as you arrive in the US and immediately sent back to China. The port police X-ray every container and you cannot hide from that. They also use CO2 sensors to catch people. And when you come back to China you will still have to pay the criminals who sent you all of the money that you owe them. Anyway, only very stupid people would ever try such things, no one with an education would ever consider it. Q: Then how should I do it? A: I usually recommend that you work for an American company with an office in China, or a Chinese company that is expanding in the US. Both of these options will give you an opportunity to do a good job and prove yourself in China where it is easier to hire you and easier to train you. If an opportunity for which you are qualified becomes available in the US, you could apply as an internal transfer. This is usually more attractive to a hiring manager—even if immigration paperwork is required—than hiring an unknown person from outside the company. At this point your competition is less because it’s usually other well-qualified internal candidates versus all of those and well-qualified local external candidates. You may also find that your career is rewarding enough in China that you lose interest in transferring to the US. Q: The US is my dream! How would I ever lose interest in that? The pay is so much better there! A: Look at the full picture. The cost of living is relatively higher in the US (aside from buying an apartment, which is much too expensive in most Chinese cities), and the rate of pay increases over time is lower than in China. A typical raise in the US may be only 3% with a small annual bonus, whereas increases of 15% every year and a Spring Festival bonus of up to 3 months’ salary is not uncommon in China. Also, you do not get as much time off, so you will lose money that way. There are also benefits in China that you do not receive in the US, such as the housing fund contribution, contributions to social insurance, etc. Q: I followed your advice and I’m a finalist for a position in the US! Do you know anything about the logistics? A: Make sure they are employing you legally on the correct visa. Big companies always do this, but smaller companies (especially Chinese ones) don’t always know how to do this correctly. You’ll need to find a company to sponsor you for a work visa and you need to arrive in the US on a visa that permits work. This isn’t the same as a business visa, which pretty much only allows you to come for meetings, training and conferences. The easiest visa type for Chinese people to obtain in Beijing seems to be the L-1 visa. These are issued to management and executive employees who a company wants to send for temporary work in the US. After living in the US legally for more than 5 years on an L-1 visa (renewed multiple times), your company can help you to apply for a green card. Keep in mind they are not required to do this! Some technical employees (such as software developers) qualify for an H1-B visa, but these are more popular for Indian employees. They allow staying in the US longer but have more restrictions. Both visa types only allow you to work for the company that sponsored the visa. Only when you have a green card can you freely switch to any other company. A: If you are legally married in a conventional marriage, you can bring your spouse and children (or like most Chinese, the one child you are allowed by the Chinese government) under 21. Q: Is it really true that if I have a baby in the USA, the baby is automatically a US citizen? A: Absolutely true! Of course, you should be prepared to pay for the hospital charges and keep in mind that child care is very expensive in the US, so it will be hard to afford very many children. However, beware: US citizenship means a lifetime American tax obligation that follows you anywhere in the world! Q: Once I already have a green card, can I apply for a US passport? How about my family? A: Your family can stay in the US based on your green card. You have an eventual path to citizenship and based on this, your family can apply for citizenship. The details about all of this are very complicated and technical so you will need to hire a lawyer who specializes in the area of immigration to guide you through the process. 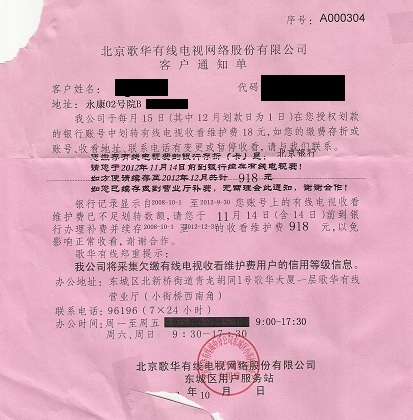 You will need to pass a citizenship examination but anyone who passed Gaokao in China will have no trouble! If you have finished reading and you are feeling sad at how impossible it all seems, I am really not trying to discourage you! I just think it is important to be realistic. Every year, over one million people come from all over the world to the USA seeking not only a better life, but a chance to join the American Dream. I think that anyone can achieve their dream with a little luck and a lot of hard work. I was just lucky to be born where I was, so I didn’t have to do all of the work. For many, the hard work is worth it and they live very happy new American lives. For others, it is too hard to accept living somewhere with such a different culture, and they finally return to their home countries. Do your research, learn everything you can about the USA, and don’t be afraid to ask your American friends and colleagues questions about life in the US. We are friendly, and it is no trouble. If you can come, I hope to someday welcome you as my newest neighbor! Categories: Dreams | Tags: | By: admin. I’ve been playing a lot with QQ, an instant messaging platform that is really popular in China. By “really popular,” I mean that it has over 700 million users. Anyway, there is an English version, and if you sign up, you’ll soon be inundated with friend requests from random Chinese people. Most of them want to make foreign friends and practice their English. I like to make friends, I don’t mind speaking English, and I have met some really cool people this way. Occasionally you get propositions of another sort. I have been offered the opportunity to purchase everything from insurance to apartments (come to think of it, mostly insurance and apartments). I have been the surprised recipient of earnest–but entirely random–marriage proposals. During times of political upheaval, I have been interrogated by young nationalists about my viewpoints on foreign policy. However, until Sunday night, I’d never been offered the opportunity to star in a movie. “Only need two minutes” was the pitch. “You’ll be advertisement. Pay you 500 RMB.” I couldn’t pry loose any details about the product other than it was music-related, but chalked the mystery up to the producer’s English level (which wasn’t great). After a lot of questions about my background, the dialect of English I spoke, and whether I had any acting experience, she asked to meet. I agreed. After cancelling and rescheduling on me twice, we finally managed to meet this evening. I gave the producer a specific location to meet me after work but she got lost, so an hour and a half-dozen text messages later, we finally found each other. At this point I was hungry, so I asked her to wait while I grabbed a sandwich. When I returned, she pulled out four Post-It notes covered in English text. This, she informed me, was the script, which we’d shoot tomorrow night in Guomao, on the opposite side of Beijing. It appeared that two minutes was already stretching into two days plus a long commute. I took the script and reviewed it. Although it was in horrible, nearly incomprehensible Chinglish (and mind you, I’ve been in China for 2 1/2 years now and can comprehend most Chinglish), I managed to puzzle out the meaning. They wanted me to record an infomercial for fake Eddie Van Halen and various other counterfeit famous-name guitars. “Find someone else, then,” I replied, with my own air of finality. “500 RMB isn’t worth being sued by Eddie Van Halen.” A crestfallen look, some quick calculation, and then she shifted the conversation away from business. What was my job? How much was my salary? I really seemed kind, couldn’t I just help her with this small thing? Where does my family live? Do I like to eat Chinese food? Am I married? Was I really sure that she couldn’t persuade me to become an actor? Eventually I finished my sandwich, wished her goodbye, and made a beeline for the subway. My acting career, it seems, is finished before it even started. Categories: Media , Online in China , Scams | Tags: | By: admin. At Defcon in Las Vegas this year, I ran into a friend I hadn’t seen in a long time. Some dozen years ago, I went to his wedding in Michigan, making an epic journey from Seattle to Chicago to Lansing. It was a happy time, and was one of the most fun weekends I ever had. My friend is, unfortunately, going through a nasty divorce. He loved his wife, and tried really hard to make it work, but in the end the differences were irreconcilable. He went on and on with all of the details, the extent of his heartbreak, and all of the pain that goes with discovering that the investment of so much time and energy was ultimately for nothing. Worse than any of that, my friend told me, was the fact that he has to completely start all over again. He really has no idea where to begin. I just realized I’ve been telling all of my friends exactly the same thing this weekend about my life in Beijing and my employer of a dozen years. Probably in even more painful detail. And so, bearing this in mind, I am more understanding of my unfortunate friend. Breaking up is hard to do. Categories: Work Life | Tags: | By: admin. One of my friends, who is definitely in the upper 1% of the US income bracket, was grousing at the overall percentage of income taxes paid by upper income taxpayers. “It’s over 50%,” he said. “It’s absurd!” All of those poor people who don’t have enough income to bother collecting any income tax ought to be paying their fair share. Maybe they could get a third part-time minimum wage job with no benefits. It still wouldn’t really amount to much. If you’re part of America’s elite, I just don’t have a whole lot of sympathy for you guys. I live in China and pay a marginal income tax rate on my mid-5-figure income of ~39% (the income tax is graduated and tops out at a relatively low income scale) There are no deductions allowed whatsoever, and only the first $80 or so of my income (monthly) is exempt from tax. On top of that, I pay a 17% value added tax on everything I buy, and that’s if it’s a domestic item. Imported items have taxes of over 100% in some cases and average 80% tax overall. And I still save more money than I did in the US, despite the higher taxes, and despite my (much) lower income. My standard of living is marginally lower (no car), but my expenses are substantially lower. The reason? Taxes here pay for things that I actually use. Rather than going to bank bailouts, a bloated military and interest on the national debt, they pay for infrastructure. There is even a budget surplus, which funds US deficit spending… at a price. I ride the subway to work for 60 cents a day, and can take a bus for 6 cents if I want to save money. There’s a bullet train that can take me roughly the equivalent distance from SF to Sacramento in 30 minutes (Beijing-Tianjin) for $8, or the equivalent distance of SF to Seattle (Beijing-Shanghai) for under $40. Domestic flights are cheap, and regular trains (not bullet trains) are laughably inexpensive. China has infrastructure the likes of which I’ve never seen anywhere in the world. There are also heavy agricultural subsidies, in the form of state owned farms (no shareholders to pay dividends, no landlords to pay rent). This translates to much, much lower food costs than in the US. And the list goes on and on. There’s enough left over for me at the end of every month that I can afford to live in the absolute center of Beijing, in between two of the most famous historical sites in China, in a neighborhood that looks like it belongs in a movie but is actually just my backyard. Does all of this drag down the economy, harming the so-called “job creators?” Nope! The economy here is growing faster than any other world economy, although it’s a relatively anemic 8.6% growth this year. And China’s new crop of millionaires and billionaires isn’t hurting either. America’s elite would doubtless be pleased to see all of the Audi A6s clogging the streets of Beijing. While the top earners of America are hell-bent on avoiding a few extra percentage points in taxes and a corporate jet tax exemption loophole being closed, Joe Sixpack doesn’t really understand very much about macroeconomics. But he’s beginning to figure out that he’s getting screwed, and he has a gun or three. Hey, 1%ers, are you factoring bunkers, weapons, and personal security into your cost/benefit analysis? Check out South Africa with its bars on the windows and rampant carjackings, and tell me if you would prefer to live in the security climate there. Meanwhile, China is laughing all the way to the bank at our political system’s inability to accomplish essentially anything. Years later, when we discover that we’re no longer the world’s largest economy and wonder what happened, we may finally learn that cooperation pays. Categories: Money | Tags: | By: admin.